Hello Almond Place readers! It is such a joy to be over here sharing today. I have loved getting to know Mandy and am so excited to be here today. 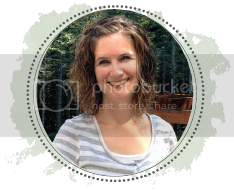 A little introduction... My name is Keri and I share over at Living In This Season. It is a passion of mine to share about living fully in our current seasons of life. As a mama to three little ones, I know how crazy some seasons can be, but I have also seen how beautiful some seasons can be as well. Stop on over and say hi. As summertime is approaching, I have been preparing some fun summer activities. Yesterday, I shared our family bucket list. I love making bucket lists as a family because we can make it uniquely for our family- focused on what we enjoy and love. As we enjoy the various activities, I want to be able to record and remember them. Something I have learned from Mandy is the beauty of treasuring photos. I love her Project Life posts and find them so inspiring. Just as we all will enjoy different activities, we will all record our memories differently. Here are some fun ways: 1) Use a Project Life Album- My new goal is to print photos from my phone on a monthly basis and slide them into our Project Life Albums. Mandy shares so many wonderful tips for using Project Life. 2) Start a Memory Jar- Get a jar and label it for memories. It could be for the summer specifically or for the rest of the year. Have some slips of paper ready to record fun memories on and then put into the jar. We have started doing this for this year and I am looking forward to going through these at the end of the year. 3) Keep Treasures- Sometimes keeping a physical item can be a special treasure. Elizabeth shares beautiful ways to store these treasures- read more HERE. Sometimes a container of shells can be a lovely reminder to a special family vacation. These are just a few ideas to get you started... what are some ideas you have? You may be reading this and wondering how you could possibly think of recording the memories, when you are simply hoping to survive each day. I know how exhausting the days of motherhood can be. I know there are challenges and unexpected things that happen daily. However, I also know that there is so much more than survival mode. You can thrive as a mom- it is possible! I have learned some simple steps to follow to assist me in my journey to thriving as a mom and have shared them in an eBook, Why Just Survive When You Can Thrive. If you are interested in purchasing or reading more, go HERE. Thanks for letting me share Mandy! !